The official currency of the Czech Republic is the “Czech Koruna”, sometimes referred to as the “Czech Crown”, or “Koruna česká” in Czech. Of course, the capital uses the same currency. 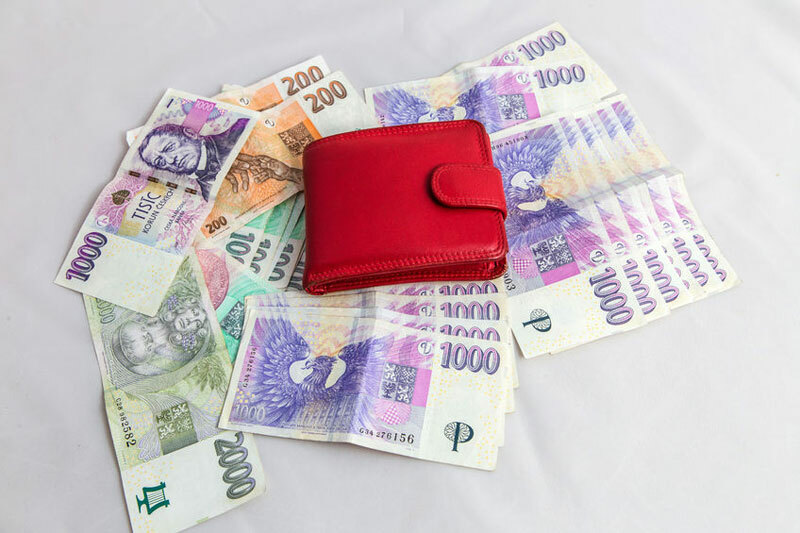 The symbol of the currency is “Kč” in Czech and “CZK” in English and internationally. The ISO code is also CZK. Even though it is possible to pay with Euros in some of the tourist areas of Prague, it is definitely better to exchange or simply pay with a Credit/Debit Card, which are widely accepted. If you are paying in Euros, be sure to always check the current exchange rate! OUR TIP #1 Don’t use cash and pay only with your Credit/Debit Card. You can use it basically everywhere – hotels, taxis, restaurants, attractions, etc. OUR TIP #2 The best way to get local currency in Prague is using the ATM. You can simply use your Credit/Debit Card and withdraw Czech Crowns at a very fair rate. There are more than 1c000 ATMs in Prague, so they are basically on every corner. OUR TIP #3 Don’t use unreliable money exchange offices or dealers in the streets. If you really need an exchange office, we recommend Czech based EXCHANGE in Kaprova street, number 14/13, which offers fair rates with no exchange fees. You could also try the one close to Wenceslas Square, on the street Na Mustku 2. The current Czech Koruna came into being in 1993, after the former Czechoslovakia split into the Czech Republic and the Slovakian Republic. But the history of the currency dates further back. The first autonomous currency, bearing the name of “Koruna” (meaning, unsurprisingly, “Crown”), was introduced after the declaration of the autonomy of the Czechoslovakia, which had before that been part of Austria-Hungary. The aim of the Minister of Finance Alois Rašín was to tame the high post-war inflation and make the Czech currency trustworthy and stable. After he died, his successor Karel Engliš finally managed to lead the “Koruna” to the gold standard. The history of the Czech Republic met many dramatic turns after that, which of course influenced the currency as well. In the long, infamous period of Czech history (1948 – 1989) when not only the monetary policy, but the country in general, was under the thumb of the directive planning of the Communist regime, the currency was devalued greatly. Officially, inflation did not exist, but it was manifesting itself in things like a lack of certain goods and the growth of the “black market”. The Czechs tried to reform the centrally planned economy, but the efforts were suppressed by military engagement (occupation) – The Warsaw Pact invasion of Czechoslovakia. The period of “Normalisation” followed, one of the darkest eras of Bohemian history. It was only after the Velvet revolution that the Czech currency could once again start to evolve and be part of the free market economy. 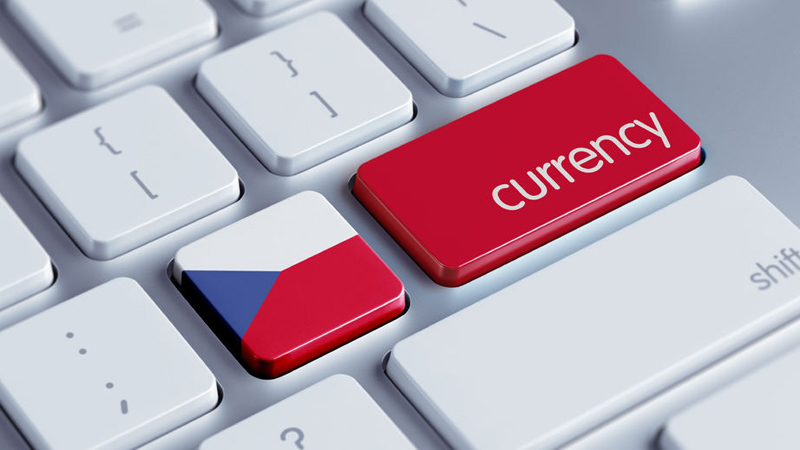 Nowadays, the Czech Koruna finally fulfils the standard of the advanced countries. The Czech Republic joined the European Union in 2004, but still retains its own currency. There are some political parties that support the adoption of the euro, but popular public opinion is opposed to it. There are even opinions that the country should leave the Union, heard mostly in connection with the EU’s regulations and immigration crisis. Czech banknotes and coins are exclusively issued by the Central Bank of the Czech Republic (CNB). 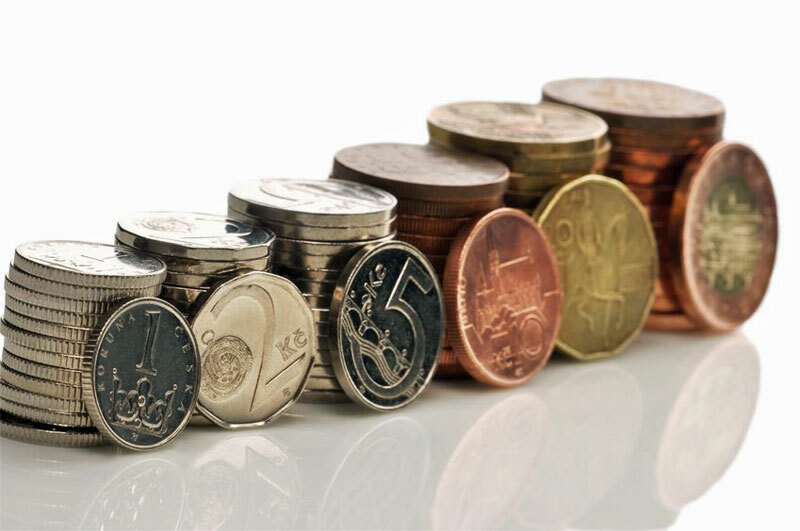 At the present time, there are twelve coins and banknotes of different value in circulation. The 1 CZK coin has been in circulation since 1993. It is made of steel, coated with nickel. On one side there is the Czech lion, and the underside is decorated with the St. Wenceslas’ Crown symbol. The 2 CZK coin’s age and material are the same as above. On one side there is the Czech lion, and the underside is decorated with the Grand-Moravian jewel. The 5 CZK coin’s age and material are the same as the previous ones, but this coin is slightly bigger. On one side there is again the Czech lion, and the underside is decorated with the motive of Charles Bridge. The 10 CZK coin is coated with copper, so unlike the previously mentioned ones (with a silver colour), this one is reddish. It is again decorated with the Czech lion on one side, with the other one bearing a motive of a cathedral (the national historic landmark of Brno, a Moravian city). There is one more version (from the year 2000), which bears a motive of a machine fragment on the underside. It was issued to mark the occasion of the Millenium. The 20 CZK coin also exists in two versions (from 1993 and 2000). Both are coated with copper and zinc fusion, and thus take on a golden colour. On one side, they both have the symbol of the Czech lion (just like all the coins), and on the other side there is either St. Wenceslas on his horse (like the statue, located on Wenceslas Square), or a fragment of an astronomical machine. The 50 CZK coin is the biggest one and it is bimetal, consisting of two homocentric circles of different colours. The inner one (copper and zinc fusion) appears gold and the outer one (copper) is reddish. It is decorated with buildings typical for Prague. The 100 CZK banknote exists in two valid versions (1995 and 1997), differing only in details (such as adding a touch-sing for the sightless people on the newer one). There is a portrait of the celebrated King of Bohemia and Holy Roman Emperor Charles IV on the banknote, and the general colour of it is green. The 200 CZK banknote (in two also almost identical versions from 1996 and 1998) is decorated with the face of John Amos Comenius, the famous philosopher, pedagogue, and theologian (in Czech Jan Amos Komenský). The colour is orange-brown. The 500 CZK banknote (two versions from 1997 and 2009) bears the lovely face of the famous Czech female writer Božena Němcová. The colour scheme of the banknote is pink-brown. The 1.000 CZK banknote (two versions from 1996 and 2008) is decorated with the portrait of František Palacký, a famous Czech historian and the most influential person of the Czech National Revival (often called “Father of the Nation”). The colour scheme is pink-violet. The 2.000 CZK banknote (two versions from 1999 and 2007) belongs once again to a woman, since it is decorated with the portrait of Ema Destinová (Emmy Destinn). This remarkable woman was a famous Czech operatic soprano singer. The colour is green. The 5.000 CZK banknote (two versions from 1999 and 2009), the highest value legal tender of the Czech Republic, bears a portrait of one of the most famous and valued Czech personalities: Tomáš Garrigue Masaryk. He was a very important figure of the Czechoslovak independence efforts during World War I, and the founder and first President of Czechoslovakia (often called “President liberator”). The colour scheme is blue-pink.